An author’s job goes beyond penning down thoughts and coming up with masterpieces. Working on the visibility of their novels and boosting sales through multiple channels is mandatory to earn a solid reputation. With the rise of digitalisation in the publishing world, reaching out to the masses has turned out to be incredibly easy. 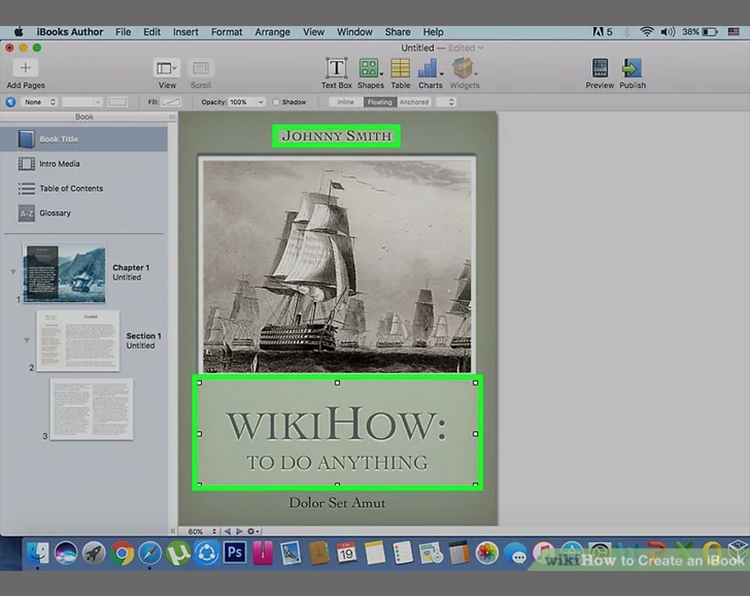 A popular format which simplifies it all is Apple’s iBooks Author. However, to make the most of its intuitive tools, one has to go through a 3-step procedure. 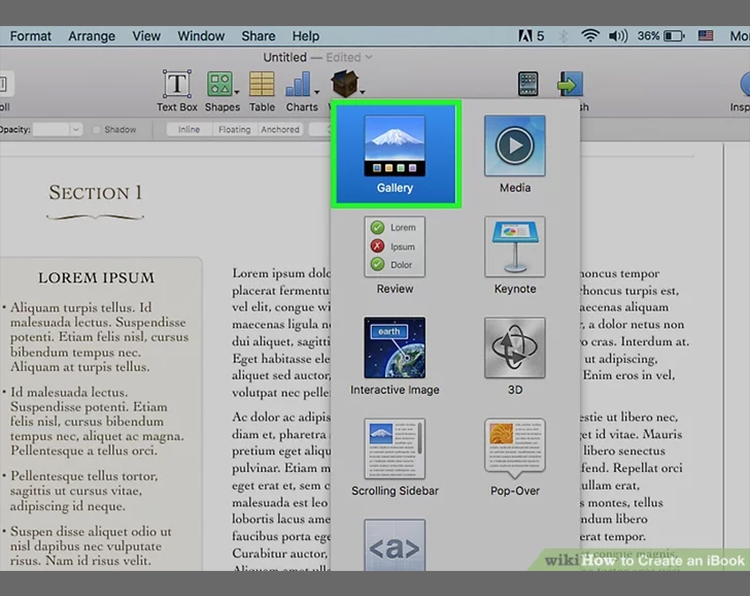 If you are a beginner, read on to explore how to create an iBook and share it with your potential readers. To let your readers identify your novel, include an appropriate title and don’t forget to add your name to the title page. Once you are done with it, click ‘next’ to proceed. Move your cursor to ‘Chapter 1’ and then to the ‘Add Pages’ tab to insert your invaluable content. You shall be thrown open to three options of directly typing the text on the chosen template or drag and drop the final file to your iBook interface or even paste the text into the preset field. For multi-section books, one is at complete liberty to add as many chapters as one desires, simply by clicking on ‘Chapter 2’. As for insertion of text, follow the same procedure as above. Moving over to the ‘Widgets’ button and selecting ‘Gallery’ would prompt you to enrich your iBook with captivating images, videos and other media. Inserting any of these would require you to drag and drop the file to wherever you wish it to appear on the template. Finally, it’s time you enjoy the fruits of your labour! 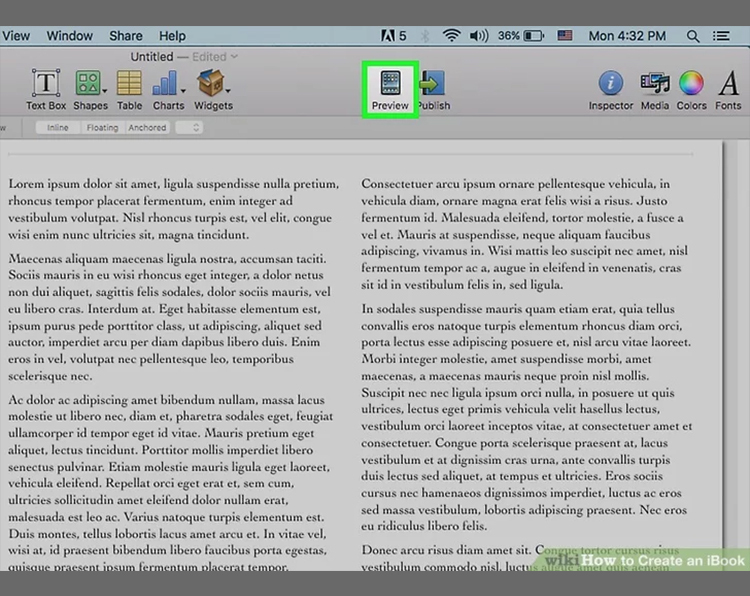 Prior to that, you could check how your iBook would appear when it’s published. The ‘Preview’ tab here, placed right at the top of the screen, simplifies the process. However, since this is not the end, read on to explore the equally effortless way of publishing. 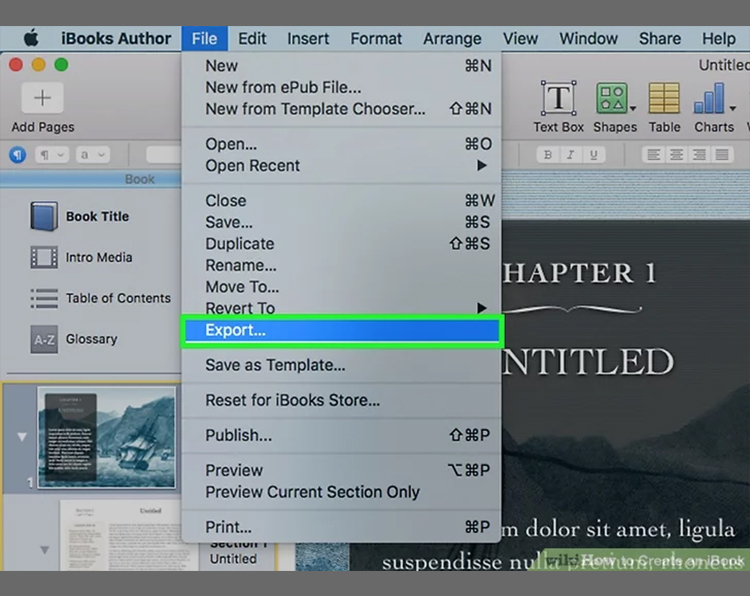 If your iBook is meant for sharing with a limited crowd then select ‘file’ and from the drop-down menu, click on ‘export’ to save the file into any of the formats- PDF or ePub. The recommended format here would be the latter since it’s readable on both Apple and non-Apple devices. Those willing to share it online can either upload it to their personal website or cloud and even email it as an attachment to a recipient. 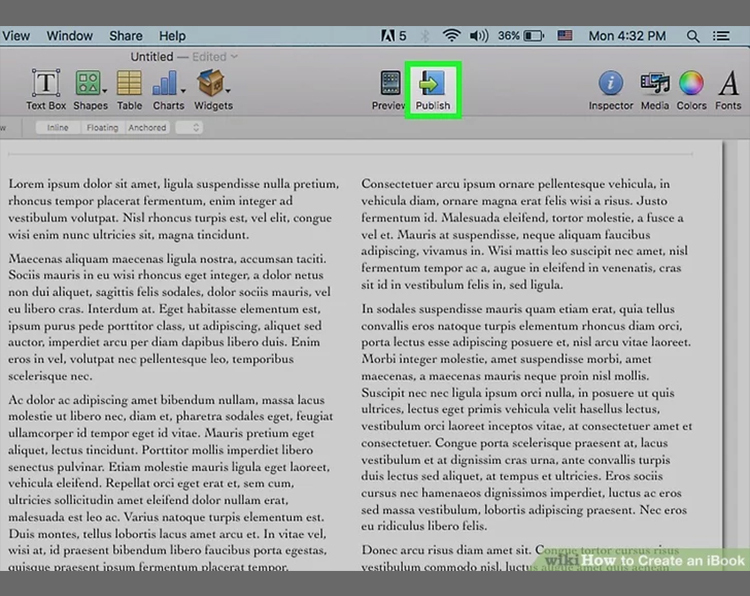 However, if your motto is to make a fast buck then hit the ‘Publish’ icon situated just beside the ‘Preview’ button to upload your text on iBook stores. Choose the ePub format if it’s for a personal site, otherwise go for iBooks version to publish it to official Apple venues. 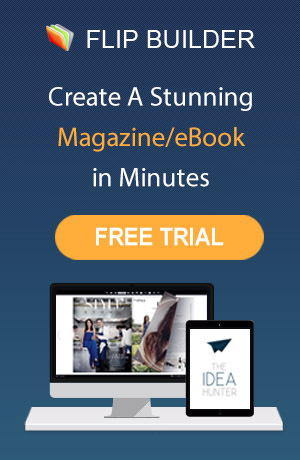 Self-publishing has never been this easy! However, if you are looking out for a reputable alternative then Flip PDF can be a solid way out. By optimising the HTML5 technique, it lets authors create a realistic page-flipping eBooks easily. Designed to improve the book reading experience of iPad owners, this is just another medium to empower them. The possibilities, as you can decipher from the discussion, seem endless. 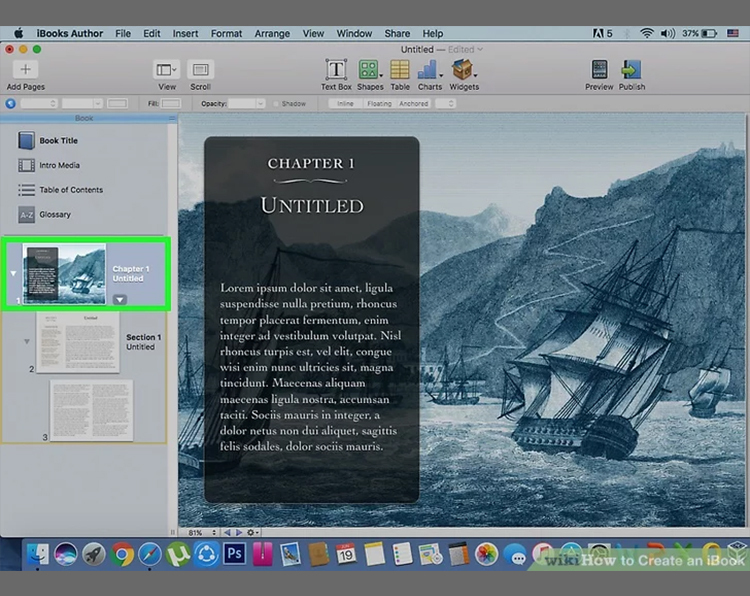 With Apple’s iBooks Author at your fingertips, the scope of sharing your interactive iBook to book lovers appear not just a reality but also a dream come true for authors, all around the world. So when the power is in your hands, why rely on publishing houses to fulfil your desires when you are at complete liberty to reach out to a vast audience all by yourself!